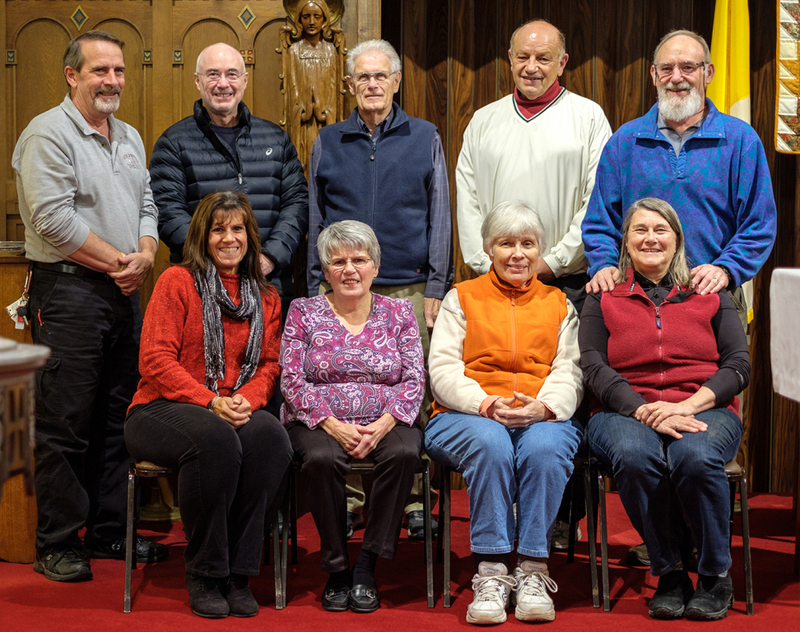 Our Parish has an active Parish Council that works to represent members of the parish in its daily management and operations. There are several sub-committees to the council, each of which are listed below. The Finance Committee is an additional parish committee that is external to the Parish Council and its other subcommittees. The Buildings and Grounds Committee keeps our Church, the grounds, and the Rectory in tip top shape. They ensure that the parking lot is clear and safe in the winter, and the lawn is neatly trimmed in the summer. Special projects include: Planned maintenance of the rectory (siding, painting, etc. ), removal of trees from the cemetery, and carpet cleaning throughout the Church. The Liturgy Committee works to provide a Church environment that promotes a full, conscious, and active participation of each parishioner, especially children, youth and their parents. This is accomplished through music and decorations appropriate to the liturgical seasons. In addition, this committee provides guidance regarding the duties and training of the ushers, lectors, altar servers, and Ministers of the Holy Eucharist. Special projects include: coordinating special masses, including Youth masses (in conjunction with the Religious Education Committee), and special recognition masses (such as for graduates); and coordinating special liturgical events such as Ash Wednesday, Holy Week and Easter services. This includes the Morning Prayer Service on Holy Thursday, Good Friday and Holy Saturday mornings. The Religious Education Committee oversees and helps administer the Religious Education program, which includes religious instruction for grades 1-12. Special projects include the investigation into re-establishment of an active Youth Ministry program. The Religious Education Committee also participates in other special projects, such as the Bike Donation Program. 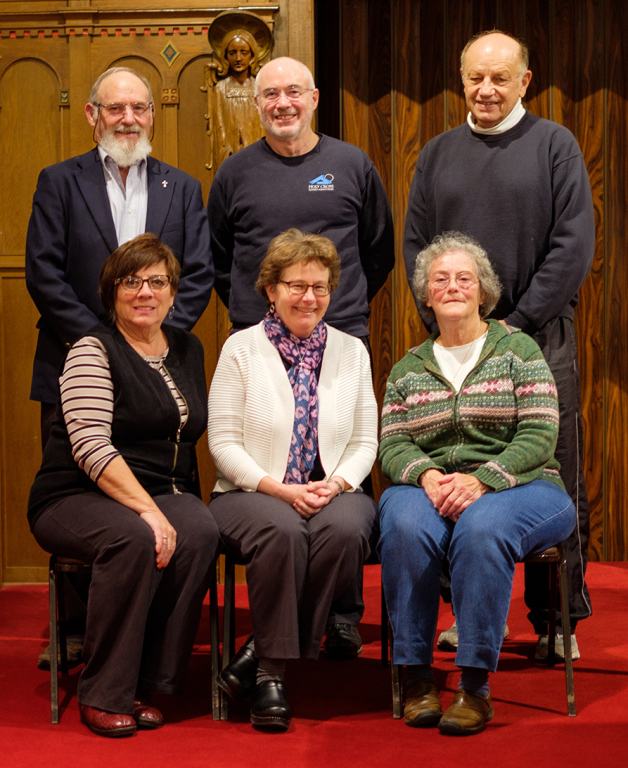 The Social Concerns Committee works to provide socially responsible and humanitarian outreach within St. John's Parish and the Christian community within the greater Bennington area. St. John's Food Shelf helps to distribute food for those in need in the community. Our food shelf hours are in the bulletin. The Parish Life Committee ensures that the social ties and events that bring us together remain strong. We help organize parish celebrations, receptions, and coffee hours, and coordinate funeral receptions. Special projects include: Coordination of the coffee hour after 9:00 AM mass on Sundays, and the Welcome Basket program for new parishioners. The Finance Committee is an independent entity (not part of the Parish Council) that oversees the appropriation of funds to committees for their operations as well as assists Father with the management of the overall budget and annual financial reporting.